An easy chicken soup recipe for colds and flu that helps relieve common symptoms. Keep some chicken broth handy to make this low carb chicken soup any time. Rumors have been around for centuries that chicken soup is the natural remedy for colds and flu. There is both truth and myth to this rumor. Chicken soup does indeed alleviate the symptoms of colds and flu. 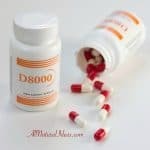 It also stimulates the body’s immune system to give a stronger fight at the onset of an infection. However, a chicken soup recipe for colds will not cure an infection. To be more of a Debby Downer chicken soup is only powerful if it is consumed at a consistent rate. Thus, once the body naturally excretes the chicken soup, the health benefits go away as well. There are some aspects to the chicken soup that are important, as well as the way they are blended. Let’s look at these before scrolling to the easy chicken soup recipe. So why exactly does it have such a profound impact on the way we feel during an infection? The answer comes in several waves. There is the warm aspect of chicken soup. Nobody consumes soup cold, correct? Studies show that drinking or consuming warm liquid has a powerful effect on the upper respiratory tract.Drinking warm water or tea will have a similar effect. 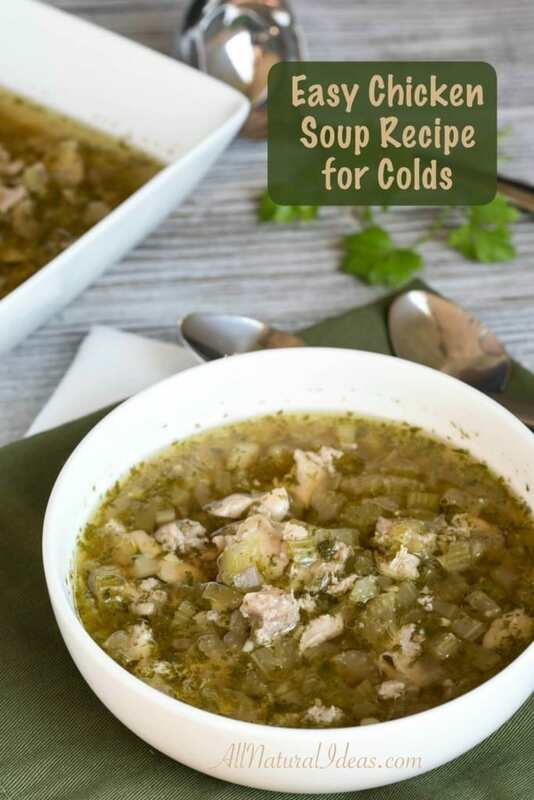 But with a chicken soup recipe for colds, it has been studied that it opens the airways and increases the functionality of the cilia that line the nasal passages. Thus, the congestion disappears and you are once again able to breathe and communicate normally. Temperature is just one aspect of chicken soup that makes it a great food product to consume to feel better when contracting the flu or the common cold. However, the other proponents of chicken soup play the larger role when it comes to immune system response and health. Most chicken broths, like this homemade version, contain portions of garlic and onions. These two ingredients contain organosulfides which are organic chemicals that react in the body to stimulate macrophage. These macrophages are immune cells that fight infections. There are other components of the broth that are equally as important. Typically there are hints of carrots in the chicken soup recipe for colds. These carrots contain Vitamin A and carotenoids, both important to stimulating antibody production for immune system response. These antibodies are important for combating disease. Vitamin E and zinc are other important components of the broth that stimulate lymphocytes, an important white blood cell that is first in line to fight infections. Our easy chicken soup recipe is a better alternative than taking each of its components separately, either by food or supplements, because the vitamins and nutrients are more easily absorbed in broth form. If you want to make our easy chicken soup recipe better for fighting an infection, try adding a small amount of olive oil. The olive oil will aid in getting the fat soluble vitamins to the cells that need it most in your body. Although chicken soup cannot prevent or cure your infection, the nutrients that make up our easy chicken soup recipe have shown to lessen the symptoms of the common cold or flu. The reason being is chicken soup is dense in vitamins and minerals and are easily absorbed due to its liquid nature. You may just love this easy chicken soup recipe so much that you’ll want to enjoy it even when you aren’t sick. An easy chicken soup for colds and flu that helps relieve common symptoms. 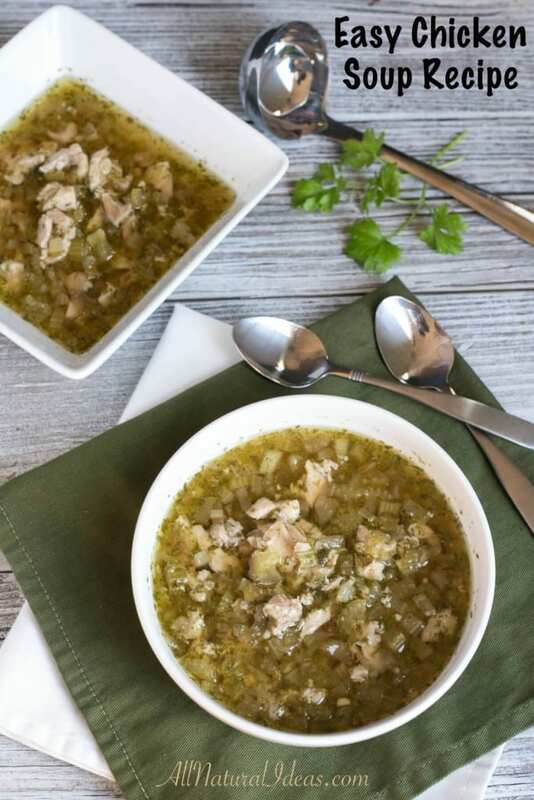 Keep some chicken broth handy to make this low carb chicken soup any time. Melt butter in large pot, then add celery, onion, and garlic. Cook, stirring frequently until onion is soft. Add broth, water, chicken, and seasonings. Simmer about 20 minutes, or until completely heated. Carrots are a good addition with the celery, but adds additional carbs. Chicken soup is so great this time of year! I love the idea of going low carb by omitting the noodles. I’m glad you like the no noodle version. Thanks for stopping by! Great timing, my son is sick and this will hit the spot! Something about chicken soup that makes you feel better. Hope he’s better soon! Thanks Elly! Hope you feel better soon! This looks delicious! I will definitely save this recipe to share with family and friends who may need some immunity boosting ingredients to battle cold season. Thank you! You’re welcome. Soup is just so comforting, especially when sick. Sounds lovely. What chicken broth do you use? Tinned? I’m in the UK, btw. I like to make my own, but often used the canned kind sold in a carton here in the US. Didn’t see anything in the notes about the amount of celery used. Or was I supposed to look elsewhere? It’s listed as 8 stalks and the notes state that carrots can be used in place of some of that.